A confirmation email is automatically sent to a customer immediately after a subscription. This should give the opportunity to unsubscribe in case the customer did not request the subscription or they have changed their mind. This may reduce the size of your mailing list, but it will improve the quality of the list and increase the open rate of your campaigns. Confirmation emails also provide a great opportunity to encourage customers to increase their engagement with your brand by sharing content or making additional offers. 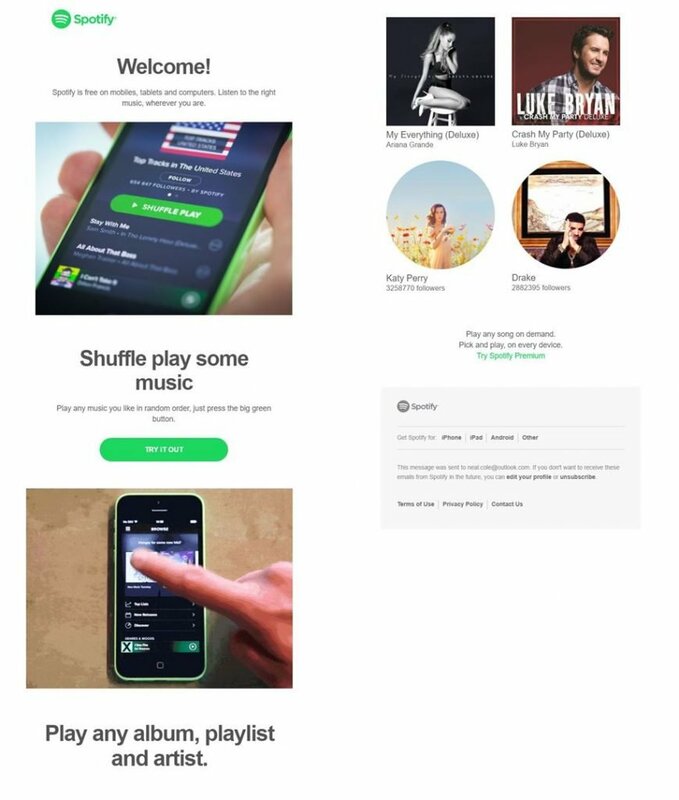 Although this confirmation email from Spotify is longer than most that doesn’t matter because of its clever use of rich media and white space encourages the mobile user to scroll. Note there is hardly any text to read, but this is much more engaging than many shorter confirmation emails that use block text. Email verification – 13 Email verification solutions to boost conversions.